The ground from the old colliery tip which contained a lot of slag is ideal for heathland plants but, of course, there was a lot of small birch and leggy gorse to be removed. 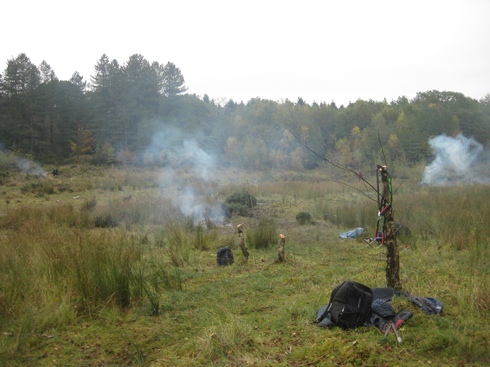 As the site is quite large we managed to light six separate fires to burn off the cuttings. However, not long after we started our Conservation Ranger noticed tiny burrows in the trunks of the birch which was an indication of the White Barred Clearwing Moth which is quite an endangered species. We were asked to leave the birch which was under about 7 years old for this species to continue burrowing and to carry on removing the gorse and conifers. 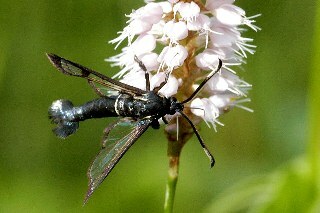 Locally distributed in south-east and north-west England and parts of Wales including the Forest of Dean, this distinctive clearwing has creamy patches near the tips of the antenna and similarly coloured bands on the tegulae and the second abdominal segment. It flies in June and can be attracted by the use of pheromones in suitable areas. The larvae feed on birch (Betula) and alder (Alnus), burrowing into the wood and remaining in this stage for two or possibly three years. 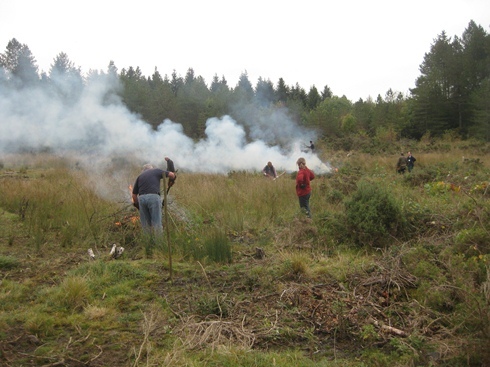 The lighting of the fires to burn the cuttings. 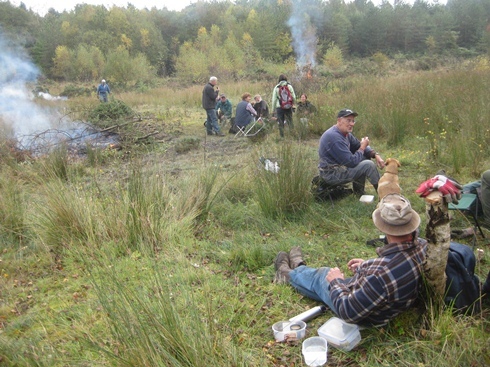 The team take a break whilst the fires burn. At the end of the day, the centre of the site is clear of low growing shrub and some small birch has been left around the edges.